With the help of nonprofits and land trusts, young farmers are staking out the space to change the face of America’s farmland. The 22 acres comprising Jupiter Ridge Farm just outside of Garber, Iowa, (population 86) are unique in a state with 99 percent of its soil dedicated to commodity crops. Those acres grow a range of 49 vegetables, many of which are organic and/or sustainably farmed. Shiitake and oyster mushrooms grow on hardwood logs, and the crops are all surrounded by prairie grass. Jupiter Ridge is also different from most Iowa farms in that it’s run by two farmers in their late 20s—Will Lorenzen and Adrienne White. Lorenzen says the most challenging part about breaking into farming has been land access. The couple has been farming for eight years, but say they were in no financial position to put down cash for a property that could be worth as much as $200,000 on the open market. Gaining access took a complex deal struck with the land’s retired owner and Sustainable Iowa Land Trust (SILT), which preserves farmland and makes it accessible to young farmers. It’s rare to see Lorenzen and White’s demographic taking over land. Because retiring farmers need income to sustain them through their later years, they often sell to developers or to large corporate or expanding family farms at a price that small farmers can’t afford, says Neil Thapar, an attorney with the Sustainable Economies Law Center. “They don’t have a safety net for retirement, but from their farming career they have assets, land, equipment. They can’t sell that to next-generation farmers because [the next generation] doesn’t have access to the kind of capital they need to buy at $7,000 per acre,” he says. That scenario is the driving force behind a steady consolidation of the nation’s farmland. A USDA report published in March found that large farms own more of the nation’s farmland compared to a few decades ago. In 1987, farms with over 2,000 acres operated 15 percent of the nation’s farmland; by 2012, that number had grown to 36 percent. The USDA report noted that consolidation is also happening through contract farming, as large corporate firms play a coordination role in U.S. farming, particularly in hog and poultry production. Some firms—for example, in specialty crops, cattle feedlots, poultry, and hogs—operate multiple farms. But there’s also the concern, voiced by The Oakland Institute and others, that huge investors and pension funds, such as TIAA-CREF, the Hancock Agricultural Investment Group (HAIG), and UBS Agrivest—an arm of the bank’s global real estate division—have a bottomless appetite for farmland, purchasing up parcels and adding to a lack of access and affordability. The farmland-conservation advocacy group American Farmland Trust echoes this concern. The group notes that people over 65 years old own 40 percent of the nation’s farmland, and a major transfer of the agricultural land and wealth is afoot. 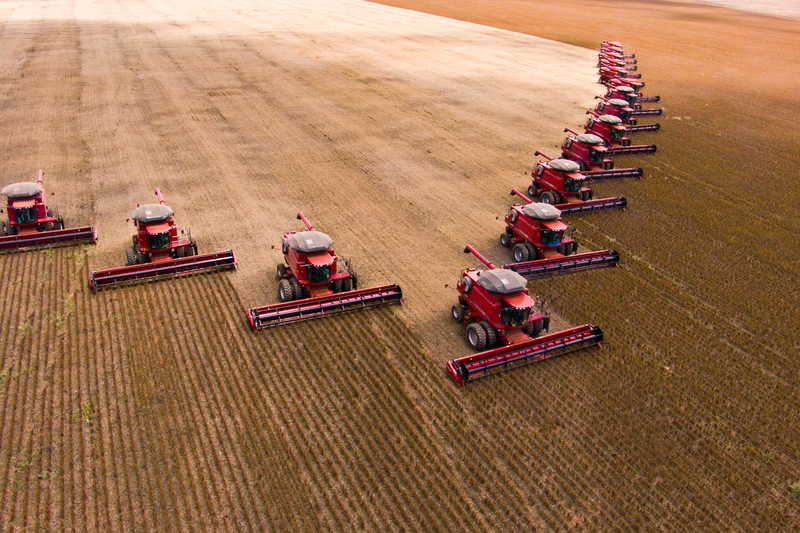 As of now, large farms are scooping up most of that property, raising questions of what that means for the average food consumer and the small farmer. The uncertainty that situation creates is compounded by the expiration of the 2014 Farm Bill at the end of September. Negotiations for a new farm bill are underway, but it’s unclear what it may hold for funding for some of the most effective measures in place to slow consolidation. 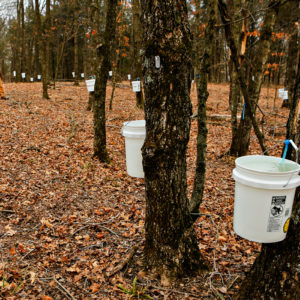 Depending on whether the version passed by the House or the Senate—or some combination of two—is approved, funding for conservation efforts like those that are part of the Agricultural Conservation Easement Program (ACEP) may double or be eliminated. ACEP provides money for state and local agencies to “buy-protect-sell” farmland, which is one of the most effective tools available in preserving farmland and preventing further consolidation. Meanwhile, a growing number of nonprofits and land trusts like SILT are using a combination of agricultural conservation easements and other measures to reduce the cost of land to make it accessible to the next generation of farmers. The face of that generation is increasingly diverse, according to Julia Freedgood, assistant vice president of programs at American Farmland Trust. Freedgood works with a nationwide network of ag-industry people who are developing a curriculum to teach new farmers financial skills. The old saying that the only route into farming is “through the cradle or altar” is less true these days, as more immigrants and refugees want to start farms in places like Idaho, she says. 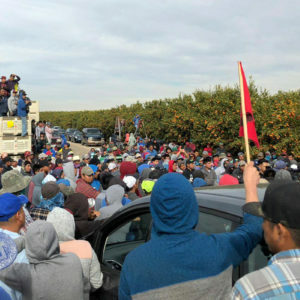 In California, many Latinx and Hmong farmworkers want their own land. 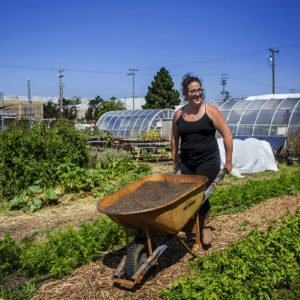 So do young, college-educated people “inspired by the local food movement,” and city-dwellers inspired by the urban ag movement. “You have this really diverse group that wants to get into farming, but they all face the barrier of land access,” Freedgood says. Land consolidation is tied to power and control—it puts the wealth generated by the nation’s agriculture industry into fewer hands. This directly impacts accessibility: what and how most Americans will eat. Ultimately, the issue is structural, and opportunities for meaningful change lie in addressing the needs of retiring farmers and those entering the industry. Thapar notes that change needs to happen at a policy level. The good news is that there is a patchwork of laws and funding at the state and federal level to help create that change; the bad news is that the patchwork is patchy—farmers in different states face very different options for financial support. The federal government hasn’t enacted any sort of meaningful legislation or rules that protect and promote small-scale farming—most recently, Obama pledged and failed to do so during his presidency. The standardization that comes with commodity stock production also over time made it easier for farms to consolidate, leaving fewer operators with greater influence on policy decisions designed to promote commodity stock production. That’s helped lead to the creation of crop insurance and commodity-linked direct payments programs, for example. A patchwork of laws and state and federal funding that helps address the situation. At the federal level, the farm bill provides $31 million for farmland preservation, but that money is often targeted for cuts by Republicans and lobbyists for big business. In Minnesota, the state provides tax breaks for those who sell or lease equipment to small farmers. Rhode Island launched a program in which it buys farmland from retiring landowners, then sells it to young or new farmers for below-market rate. Offering capital gains tax breaks to retiring farmers who sell to younger farmers could be a strong incentive because “it can make a significant difference in the net bottom line,” says Jerry Cosgrove, farm legacy director with AFT. Thapar suggests a pension program that provides annuity payments to independent farmers so they don’t have to rely on land and asset sales to pay for their retirement. Land trusts are offering “measures to address what can broadly be called land access and affordability issues, particularly for young or other socially disadvantaged farmers,” Cosgrove says. The measures can be complicated, but they’re working. Cosgrove says AFT helped Zack and Annie Metzger—who are in their mid-30s—purchase land from a retiring farmer in Troy, N.Y. The land held a conservation easement and affordability deed restriction, and its owner asked for over $650,000. The Metzgers decided to sell the easement and deed restriction to raise capital, but couldn’t do so until they owned the property. That required a bridge loan through Equity Trust. The sales of the easement and affordability deed helped pay off that loan. The Metzgers sold the deed restriction to a local nonprofit conservation group that holds it and is obligated to enforce its terms. The state of New York provided the funding for the nonprofit to purchase easement, and it can only be sold to a nonprofit or municipality. “We’re privileged people, we come from a great background, but not to where we have the wealth to purchase a property … with an appraised value [of around $650,000],” Zack Metzger said. On Laughing Earth Farm, the Metzgers now offer humanely and organically raised pigs, chickens, and turkey. Laughing Earth’s vegetables go to local CSAs, and they sell freshly cut wildflowers at farmers’ markets. AFT typically purchases land or takes a land donation, puts it in an easement, seeks an affordability deed restriction, then leases the land long-term to a younger farmer. So far, about 6.5 million acres of farm and ranch land are preserved in land trusts, according to a 2017 survey conducted by AFT, which the agency says is a conservative estimate. That’s up from about 4.7 million in 2012. In Iowa, SILT uses a similar strategy. The owner of the land on which Jupiter Ridge operates donated his deed to SILT because he’s interested in preserving it for sustainable food farming. When he decides he no longer wants to control the land (or he dies), White and Lorenzen will enter into a long-term lease with SILT. They can also own the land’s home and other buildings, and they can pass it on to younger farmers or their kids when they’re ready to retire, or SILT will place a conservation easement on the land if for some reason they must sell. Either way, the land is preserved for sustainable farming in perpetuity. Jupiter Ridge represents 22 of 770 acres under SILT’s protection, and Erem expects that number to grow quickly. In New Hampshire, Agrarian Trust, a nonprofit group working to increase land access for farmers, will soon begin purchasing land. It’s partnering with local land trusts that will own the properties, acquire a conservation easement, and function as a “farm commons” that will manage a 99-year lease with a young farmer. Agrarian Trust will support and have some level of controlling interest over the local nonprofit. It’s partly focusing on regions in which there is little in the way of agricultural conservation efforts, like the Southeast. Poudre Valley Community Farms in Colorado is using a slightly different model. The group just made its first purchase: a 109-acre farm with a five-bedroom house, corrals, and outbuildings for $1.3 million. Poudre Valley is controlled by a multi-stakeholder cooperative that board member Zia Zybko characterizes as “truly community supported”—if the farm has a problem, the cross-section of the community that invested in the farm works together to find a solution. Ultimately, it’s going to take a coordinated effort at the federal level and among those working at the local level, instead of a patchwork of independent agencies operating toward a similar goal Thapar says. “There are some systemic changes that need to happen, and there needs to be a broader coalition working on this,” he notes. Specifically, he suggests reviving the USDA AELOS survey that retrieves landowner information and demographics, farmland rent control policies, re-funding federal and state land preservation programs, promoting state-based land ownership surveys, and providing reliable funding mechanisms for land trusts and land cooperatives. Lots of simarlities and common threads! Good food is a human right, we need land so lets not forget that inorder to grow good food you need land with fertile arable soil. Civil Eats read or heard of George's book "Progress and Poverty'??? Also important to note that Iowa contributes over 90% of the toxins creating the Dead Zone in the Gulf of Mexico - this because of the toxic run-off from the BigAg corn and bean operation’s fertilizers and pestisides. The problem of toxins is severe in other BigAg states as well, with the killing of essential microorganisms rendering the soil sterile.